Does the way international development assistance is organized make sense? Ten years ago we left the comfort of a large international NGO so that we could make this question the focus of our daily work. Root Change was born, and along with it, our mission to question deeply held assumptions about development assistance. Many of our friends thought we were crazy. Asking questions about everything, it turns out, has led us to many exciting discoveries, connected us to remarkable changemakers, and opened up a world of possibilities for the future of development assistance. Every month you will find new stories here that will take you into the heart of our work. In this space we hope to shine a light on what we are learning about local capacity, the culture of “development”, local systems and the inevitability of a new operating system for development that shifts the power to local people. Truth telling doesn’t mean you will find cynics here. We are confident that the development system can change, and we invite you to join us in the development revolution. In the months ahead, we look forward to introducing you to a whole new tool-suite to support Collective Impact work. If you have ever wondered how organic social networks impact development or if you have struggled to organize joint initiatives involving multiple organizations, you will want to read more about our online network analysis platform called Pando. In October, we will update you on how two social labs in Malawi are turning heads. These year-old local initiatives represent at least a small part of what we think the next operating system for development might look like. We don’t pretend to build everything in-house. The development revolution is everywhere, and we want this space to be a place where you feel you can share the best of the best. For example, the disruptive genius of Mauricio Miller, founder of Family Independence Initiative, is redefining the narrative about low income families in the United States. That kind of thinking has enormous implications for the future of development assistance. So too does the decade long crusade of Keystone Accountability, whose persistent question: “Why doesn’t the development sector ask the people it serves the same kind of satisfaction questions that private companies ask their customers every day?” has led to a global reckoning about the power, and necessity, of constituent voice feedback loops. We would like you to think of Root Change as a development laboratory; testing new ideas and leveraging learning from others so that we can advocate for far-reaching change within the development sector. As practitioners, our team is committed to innovation that pushes the boundaries of what we thought was possible within the current foreign aid framework. As activists, social justice principles influence our daily work and guide our approach to locally owned and led development. If this sounds like you, we welcome your contributions and ask you to join us in a development revolution! Stay up to date by getting an email whenever Root Change posts new content! 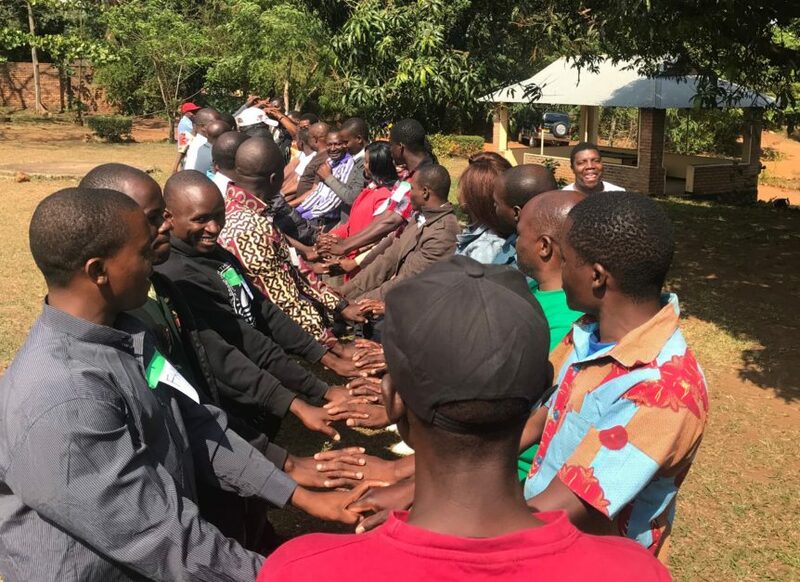 Can Social Labs repair trust in two Malawi districts?